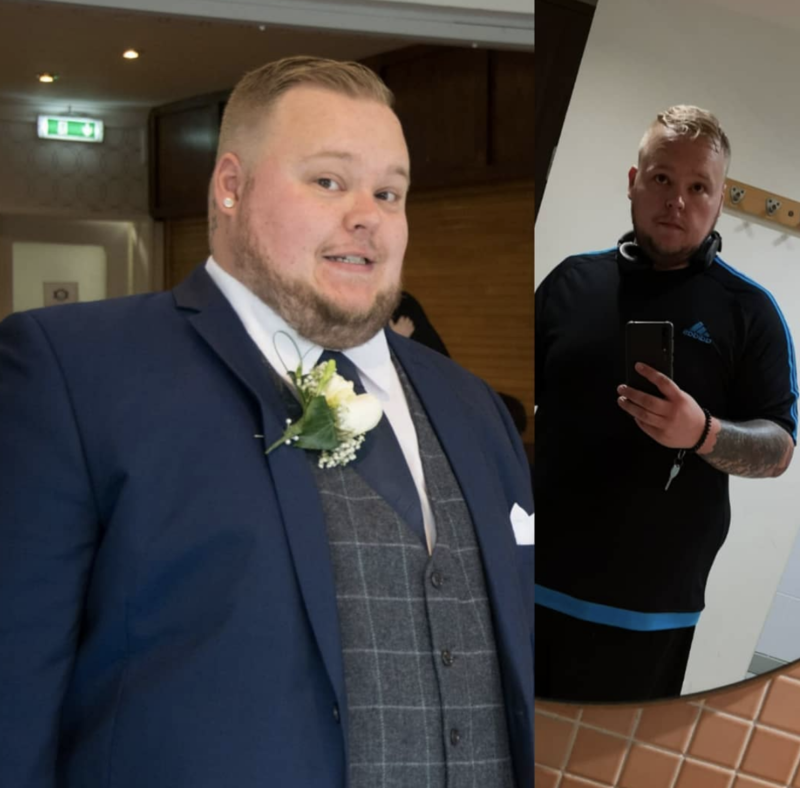 I’ve always been overweight, but I really started piling on the pounds when I had my children and gave up smoking and swapped the fags for fizzy drinks, AKA Coca-Cola (other brands available! ), which is loaded with sugar. Despite the obvious being extremely unfit and suffering with chest pains, the icing on the cake for me was when I received my wedding photos back from the photographer in November last year. I was disgusted with how I looked, for me it has spoilt a memory which should be remembered as a happy one. 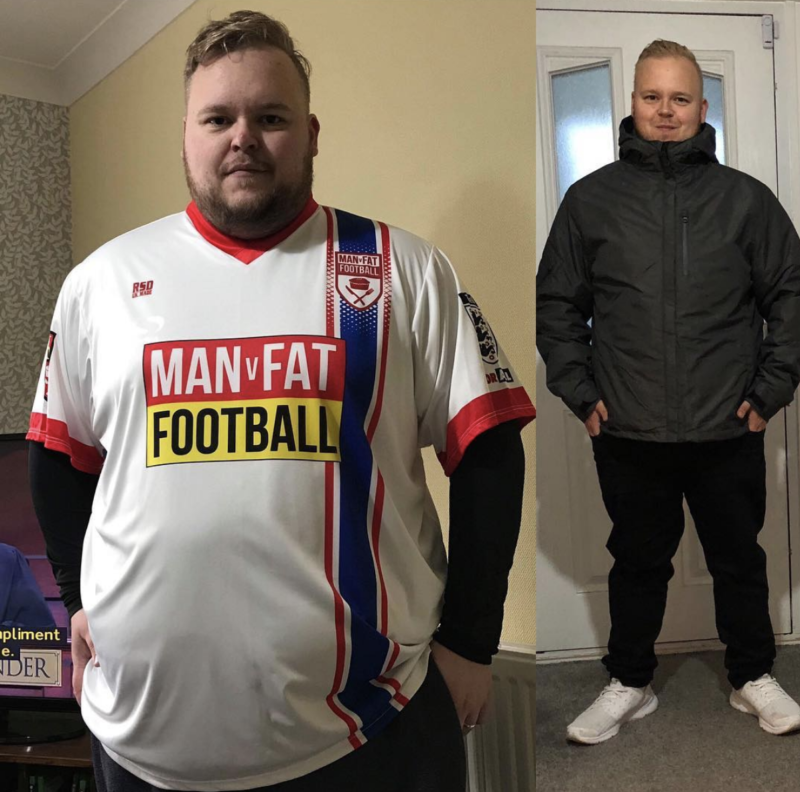 It all started with signing up to my local MAN v FAT Football league in Norwich. I did this alongside a strict calorie controlled diet where I limited my daily intake to under 1500cals. I did regular Race At Your Pace walking challenges, starting at 25 miles working up to doing 150 miles in a month. From there I upped my exercise by joining a gym and also incorporating other 6-a-side football games into my weekly exercise regime. Before I lost weight, I’d eat a lot of McDonalds, KFC, etc., basically anything that was quick and convenient. Now I eat lean meat with vegetables, lots of salads, etc. MVF Football has given me MOTIVATION. I now get up every day with the determination to do myself and my teammates proud. I make sure I put 110% effort in every day knowing that if I don’t give it my all, I’m going to be letting my teammates down on the scales at the end of the week. 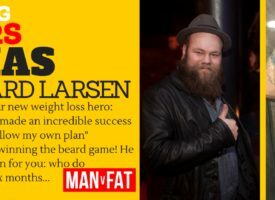 There are plenty of reasons why MAN v FAT Football works, but I think the main selling point for myself was that it’s a group aimed for men. 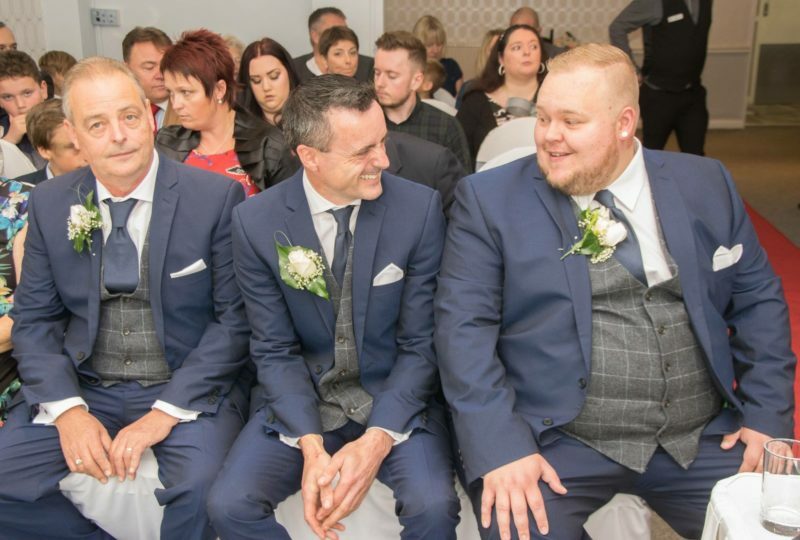 Having been to other slimming groups in the past which were mainly geared towards women, it was very embarrassing for a man to be sat there and be the odd one out. 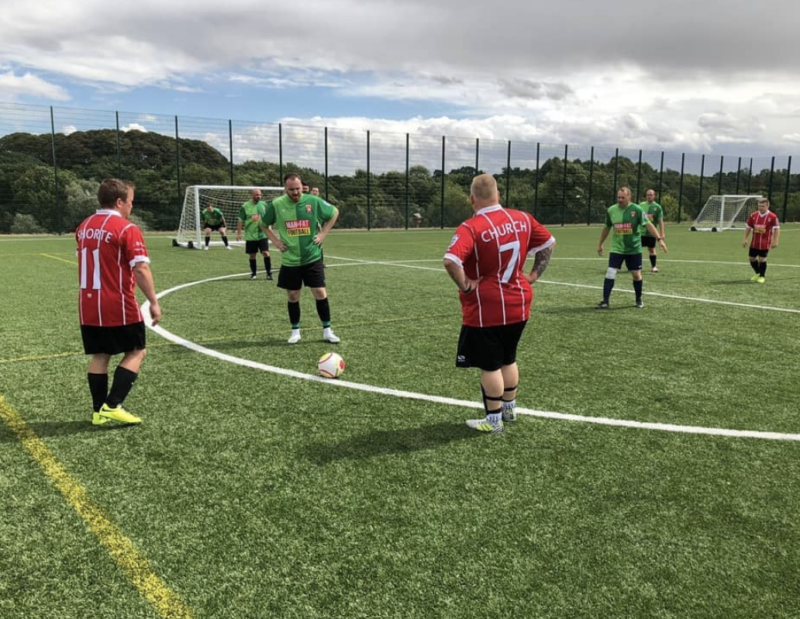 With MAN v FAT Football there are no awkward group meetings talking about how your week has been where you’re the only man – you weigh, you play, and it’s all with likeminded blokes. To anyone thinking of signing up – what are you waiting for? MAN v FAT Football has changed my life and I will always be thankful to the guys who created this program. 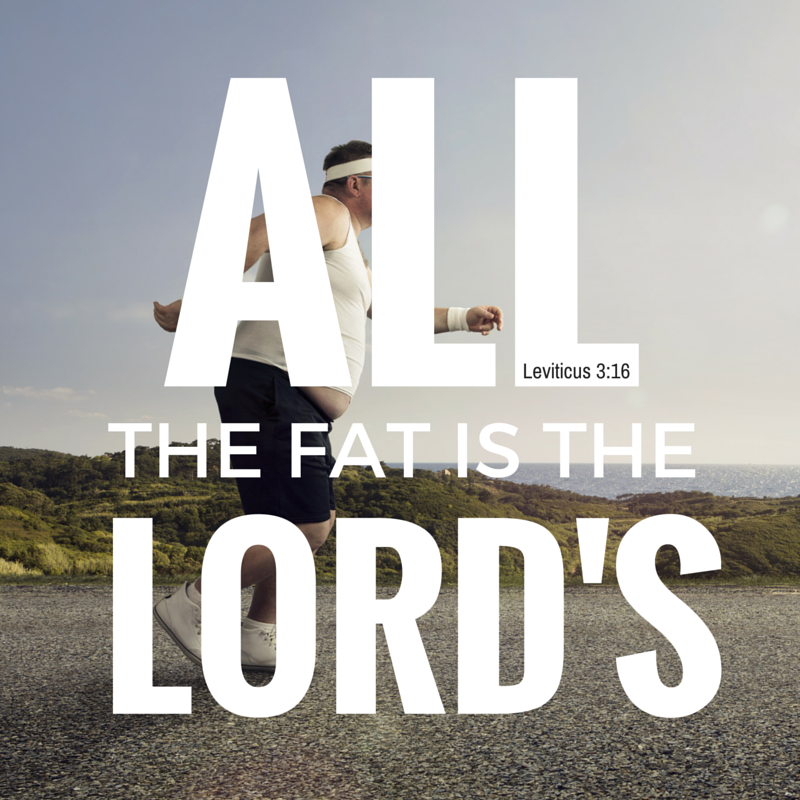 I think the most difficult thing for me other than portion control was learning to stay disciplined. 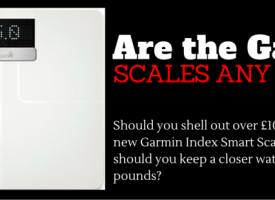 It is so easy to go over your daily calorie limits with the temptations that are so readily available wherever you go. How did you overcome these difficulties? 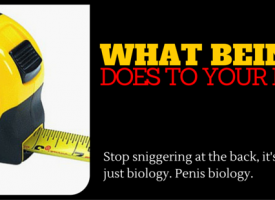 You have to prep and plan ahead so you can’t be caught out by temptation while out and about. 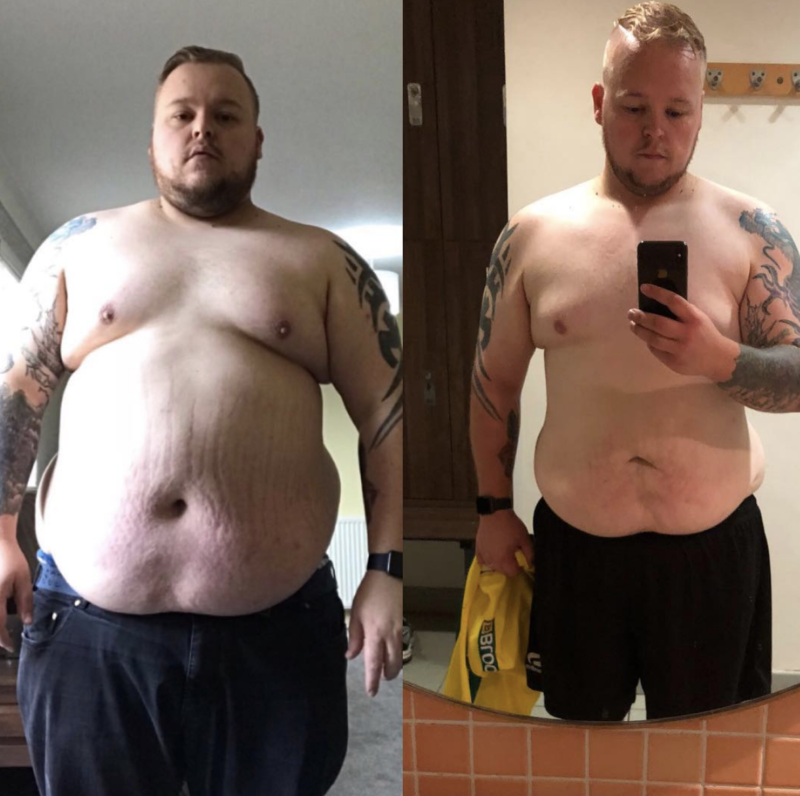 I’ve also found that using Instagram to blog about my weight loss has helped me overcome the times where I was struggling to stay on plan because I could look back on pictures and see how my body is changing, even though the numbers on the scale may not have been. I look and feel like a completely different person. Not only was being overweight a physical strain but it was a mental one as well. It feels like a massive weight has been lifted off my shoulders. The small things that plagued you when you’re severely overweight seem like a distant memory now. 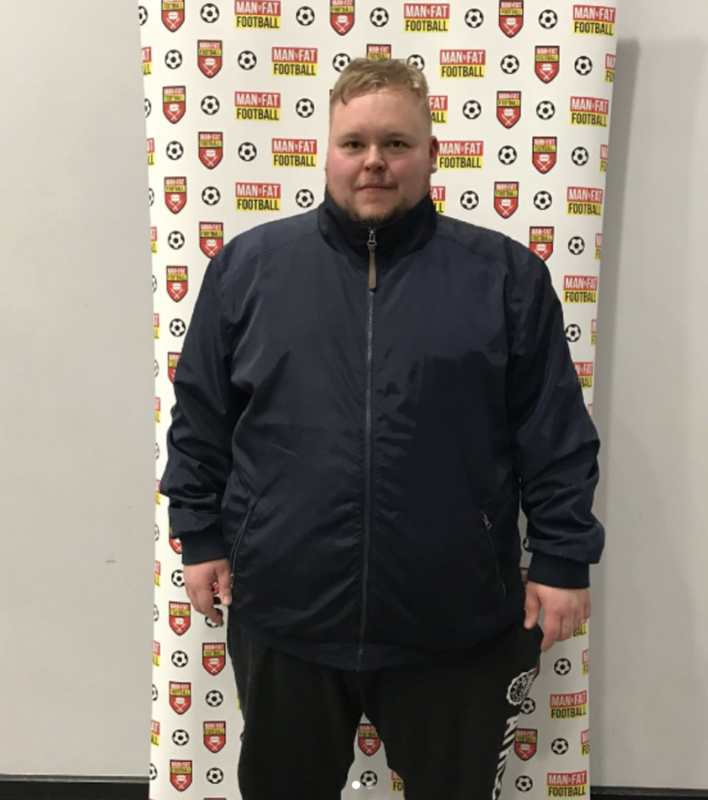 MAN v FAT Football friends – the banter between everyone is amazing, everybody wants you to do well and the support that is available is invaluable. 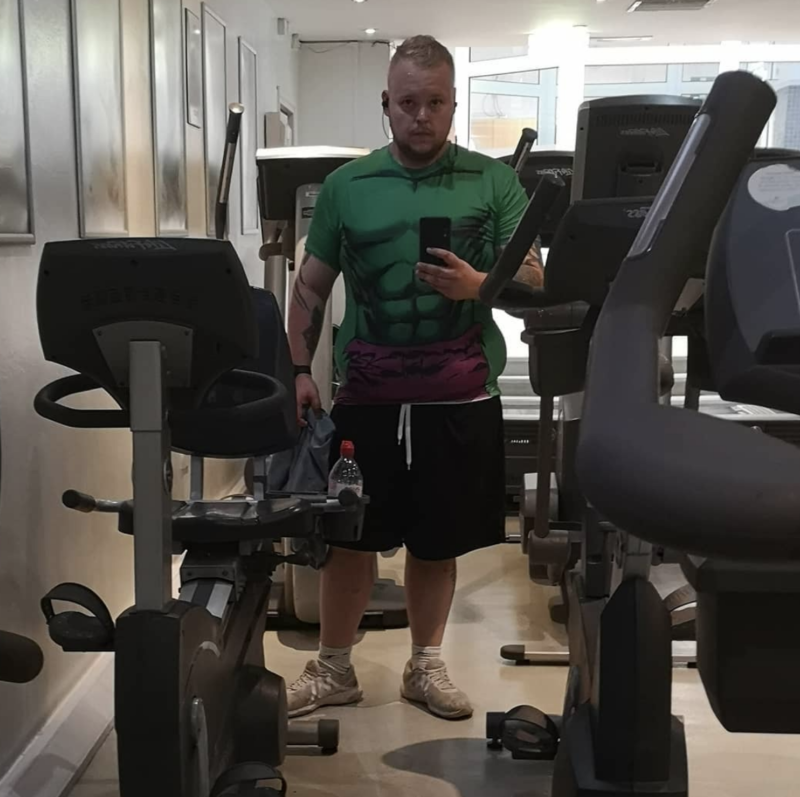 My friends and family – they’ve been very supportive of me, my wife and kids have barely seen me the past year from the amount of time I’m out exercising in one form or another! Instagram – there are a lot of inspirational people on there who have given me lots of valuable advice which has helped me along my journey. I could say a lot of things but whether he would have listened to me is another question. I think the main thing I’d point out is there is a light at the end of the tunnel – this is one of the hardest things to see when you first start out – but as my Dad always told me “you’ll only get out what you put in”. 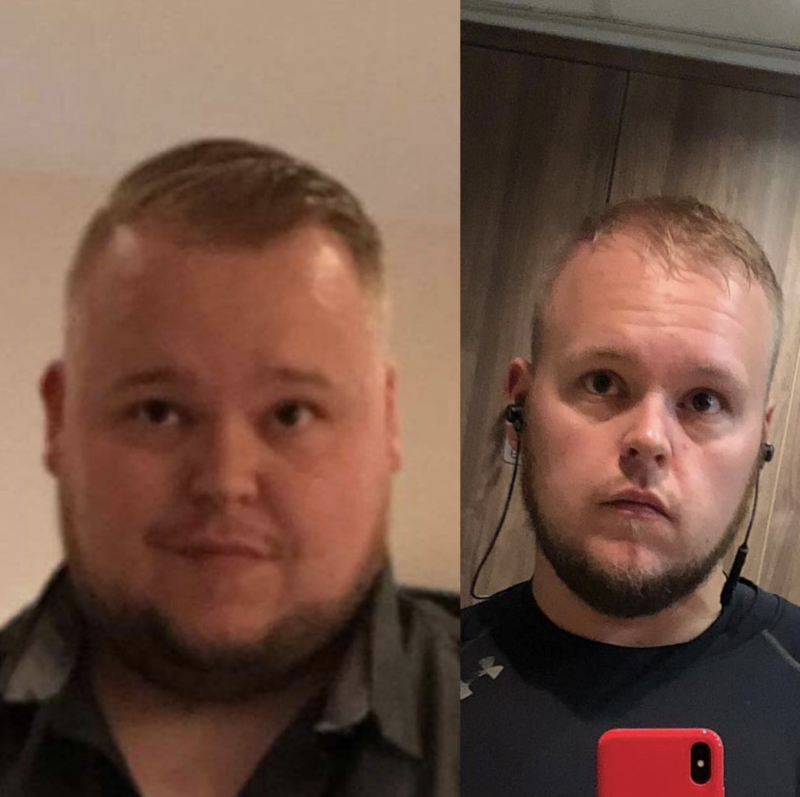 I’ve lost a significant amount of weight but I am still aiming to lose another 3 or 4 stone before I start trying to maintain. Once I get to the point of maintaining my weight loss, I will keep being strict with my food choices – I never want to go back to the place I was. I think more needs to be done with regards to educating people on food choices, nutritional values etc. Something also needs to be done about food pricing. In general, foods that are bad for us tend to be cheaper (and have more BOGOF deals and the like attached) than healthier alternatives. You always see BOGOF on packets of biscuits but you never see a BOGOF on a pack of apples! 2. You are not alone – don’t suffer in silence, accept other people’s support or ask for it if you need it. 3. Stay consistent – you can’t out train a bad diet. Find a strategy that works for you and keep moving forward with it. Many thanks to Dan for sharing his story. 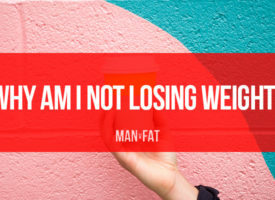 If you’ve got a weight loss story of your own that you’d like to share, don’t forget that we’re always looking for weight loss stories to feature, so get in touch if that’s you! 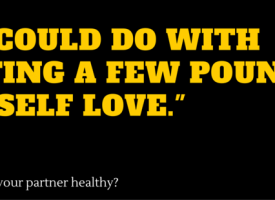 Can You Nag Your Partner To Lose Weight?